Chris Breen and Ann Johnson handle our wholesale sales. For information about wholesale sales, please call (802) 453-4884. Aaron Manley handles retail sales. For questions about retail sales, please call our main office at (802) 453-4884. 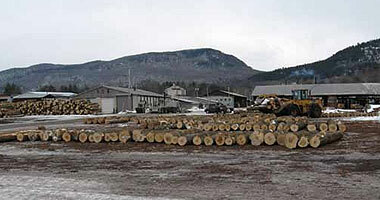 Contact information for current and potential log suppliers and timber management customers. Note: Our foresters are usually in the field during regular business hours. Questions can be left at our main office, (802) 453-4884. Suppliers and land management customers should feel free to call them at home in the evening at the above numbers.